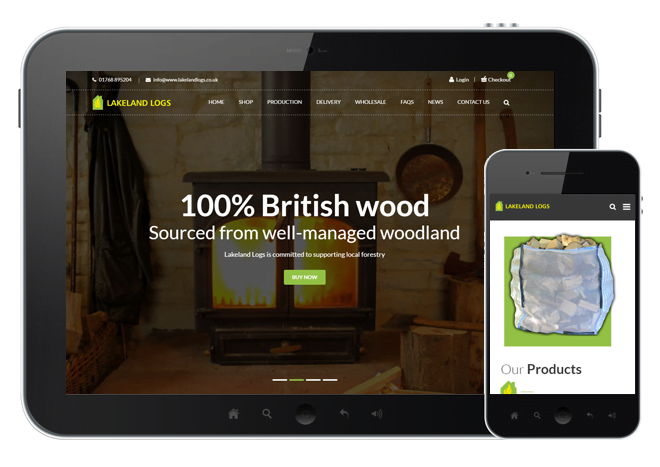 Lakeland Logs is a family-owned business based in Cumbria. They supply sustainable British hardwood and softwood logs to customers throughout the UK. Their new WordPress Ecommerce website was developed to help with increased demand and provides an easy to use system for both client and end user. The company’s delivery drivers are able to download and print orders complete with delivery instructions. In order to enhance the appearance of the website we provided photography which included product and lifestyle imagery.